Deer Park used to be referred to by the First Nations people as “Mushquoteh”, which means a meadow or opening in the wood where deer come to feed. In 1837, the Heath family purchased forty acres of land in “Mushquoteh”. Appropriately, they named their estate Deer Park. By the 1850’s, the Deer Park area had grown to include a handful of country villas, a general store, a school, a cemetery, a race track, and a hotel that was located at the intersection of Yonge and St. Clair. Patrons at the Deer Park Hotel used to delight in feeding the deer that roamed on the hotel grounds. The deer were long gone by the time Deer Park was annexed to the City of Toronto in 1908. Deer Park filled in very quickly after annexation. By the 1930’s the Deer Park neighbourhood was established as one of Toronto’s finest residential districts. 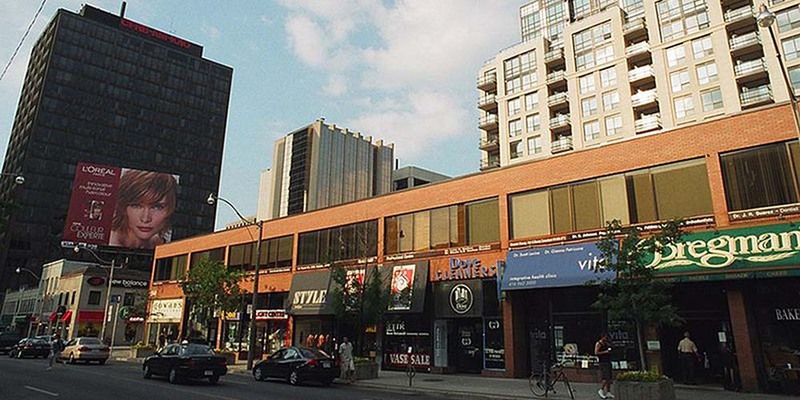 Deer Park’s commercial centre provides a good balance for this neighbourhood which is surrounded by lush green parkland, majestic trees, and the Vale of Avoca Ravine. Deer Park has a wonderful mix of detached and semi-detached houses that encompass a variety of architectural styles. Most of the original Deer Park houses were built between 1875 and 1920. Deer Park also contains a fair number of newer townhouses that blend in well with the older homes in the neighbourhood. Deer Park has one of the largest selections of luxury condominium apartment buildings in Toronto. Most of these apartments have balconies with picturesque views of the park, the ravine or the city. Motorists are approximately ten minutes from downtown, and twenty minutes from Toronto’s Expressways and Highways. 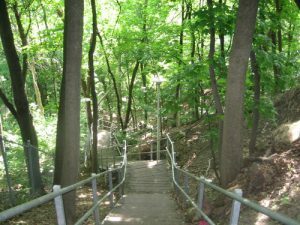 The Rosehill Reservoir located just steps from Yonge and St. Clair at 75 Rosehill Ave., is one of Toronto’s prettiest greenspace. Together with David Balfour Park this is an oasis in the bustling midtown core. The Rosehill Reservoir which forms the upper tier of this park includes a very pretty four acre reflecting pool lined with cobblestones. There is also an adjacent waterfall with a small bridge and a maze of stairs on each side, as well as a separate water fountain feature with a dramatic overhead spray that rushes water into the oval pool below. There is also a pretty flower garden and wading pool tucked away at the far end of the park. Wrapped around Rosehill Reservoir is David Balfour Park that features a surfaced path that’s ideal for walking, jogging and cycling. This well treed park has a large children’s playground. Sign markers on the east side of the park indicate access points to the Vale of Avoca Ravine which includes a hiking trail that follows the path of an adjacent meandering creek. The urban forest and all the nature it nurtures is remarkably vibrant, and a pleasant surprise given the proximity to such a well established urban area. 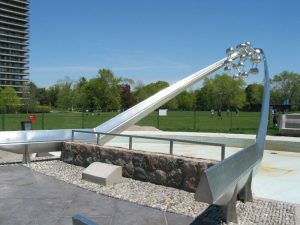 Oriole Park located at the northern tip of Deer Park has a playground, a wading pool, two tennis courts and access to the Belt Line’, a seven kilometre path that follows the route of Toronto’s old Belt Line Railway. Oriole Park is also home to the newly created Neshama Playground. The Neshama Playground features a water play area, sensory musical features, Braille panels, an enclosed climbing merry-go-round and bounce pad, accessible swings and play structures, and colourful, springy surfacing.